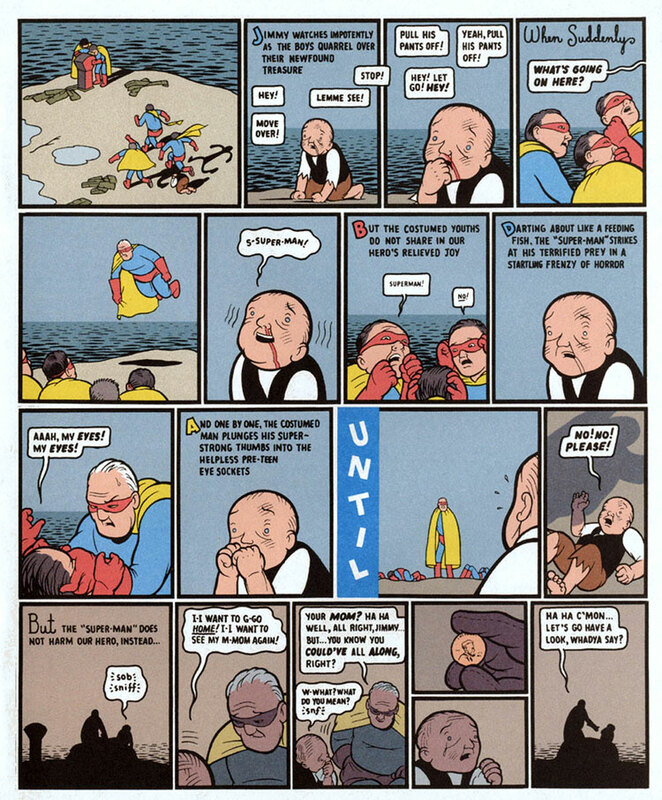 Comics Commentary: "Imagine Chris Ware doing the Fantastic Four"
"Imagine Chris Ware doing the Fantastic Four"
Two things that came to mind after reading Grant Morrison's comments about Chris Ware's work in a recent Rolling Stone interview. I really like Chris Ware formally, he’s formally brilliant. The black humour is at a pitch where I can enjoy it just for the sheer nastiness of it, the black depth of it. But what worries me is that there’s so many of those American guys - and I have this problem with the Fantagraphics books, not all of them, but most of them - is that there’s a lot of really bad ones, I think. To be honest, I'm much more disappointed by his cavalier dismissal of Jerry Siegel's and Joe Shuster's treatment by DC, as Abhay Khosla and Paul Gravett pointed out a month ago. To say that corporations screwing young creators is something natural ("it's kind of the world") and something that he can't possibly have an opinion about (because he "wasn't around" at the time) strikes me as much more nihilistic than anything Chris Ware or Daniel Clowes have published in their work.